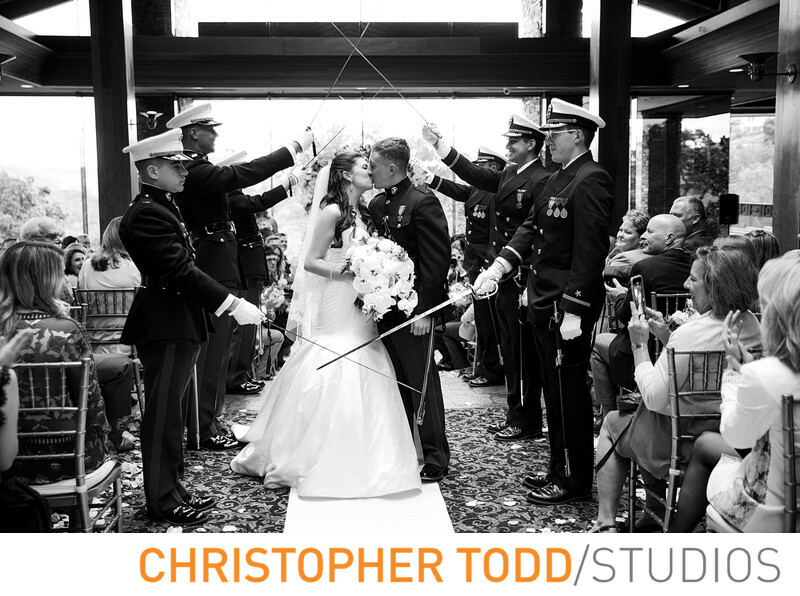 At this wedding ceremony at Dove Canyon Golf Club the couple sealed the vows with a kiss under the Marines' swords who were the groomsmen. The groom was in his dress blue uniform and looked very sharp. Location: 22682 Golf Club Dr, Trabuco Canyon, CA 92679. 1/80; f/2.8; ISO 1000; 42.0 mm.